2 bedrooms,1 bath,suitable for 5 people,internet,garden,directly to the beach. Villa Tortora is one of the first houses built in Ascea Marina along the seven km of sand beach with rocks and charming creeks on one side. The villa is divided in two apartments with separate entrances, completely independent from each other. The garden, surrounded by oleanders with five huge mulberry-trees, olive-trees, palms, pine-trees and poplars and its beautiful lawn, only fifty feet to the beach, makes this place an incomparable site. The owner is a doctor and lives with his wife at the top floor of the villa. Fresh and comfortable, the ground floor has two bedrooms, a wide living-room nicely furnished with a large covered patio, a fitted out kitchen, barbecue, a large bathroom and a warm-cold outdoor shower. There is parking for one car. Ascea centre with its restaurants, bars, bank and shops is easily reached in 4 minutes walk as well as the train station which is just 300 m from the villa. The area offers all kind of tours: countryside, high mountains and fascination. Cilento Arcadia offers you holidays in unique homes different from the others because of the quality of their furnishing and their locations in contexts which reflect the typical expression of the surrounding places. But above all this we want to propose you a pleasant and relaxing holiday. We offer you a new and unusual journey. Our tourist housing agency will be happy to suggest some of the best itineraries to satisfy cultural, naturalistic and gastronomic interests, and to make your holiday more active. You will discover a country where the time seems to run slowly, letting you enjoy complete freedom from the chaos and stress typical for cities and other renowned tourist resorts. All that is possible thanks to the special qualities of the territory and its many offerings: the sea, mountains, beaches and woods, are all accessible in this area. 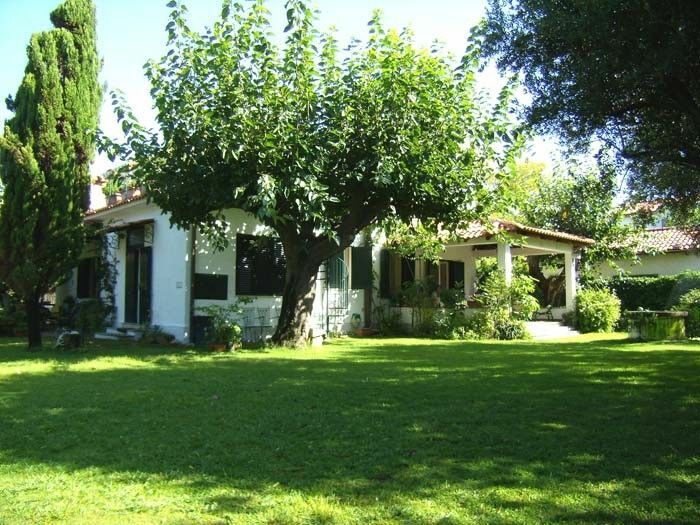 The agency is located at Ascea-Velia, in the heart of the National Park of Cilento, half-way between Paestum and Sapri, respectively the northern and the southern borders of the Cilentian coastal area. Thanks to this central location, you can quickly reach all the main tourist attractions of cultural and environmental interest in the National Park of Cilento. Moreover, you will easily be able to visit some of the most enchanting locations in the world, such as Pompeii, Sorrento, Capri, Ischia, Positano and the Amalfi Coast. We periodically visit every accommodation that we offer, and maintain continuous collaborative relationships with the owners in order to always be able to guarantee you the highest standard of comfort at competitive prices. Cilento Arcadia is at your service to answer to your requests and to supply you with all the information you need to better plan your holiday. Our agency is also specialized in apartments sales, villas, country houses, and rustic style homes. Fresh and comfortable, the ground floor has two bedrooms, a wide living-room nicely furnished with a large covered patio, a fitted out kitchen, barbecue, a large bathroom and a warm-cold outdoor shower. There is parking for one car. Ascea centre with its restaurants, bars, bank and shops is easily reached in 4 minutes walk as well as the train station which is just 300 m from the villa. The area offers all kind of tours: countryside, high mountains and fascination. Dieses Apartment, eigentlich die untere Wohnung in einem Haus, liegt direkt an der wenig befahrenen Strandstraße (Lungomare). Den Sandstrand erreicht man, indem man bei der Hintertüre den Garten verlässt und über die Straße geht. In der Nähe befinden sich einige kleine Supermärkte, ein Bäcker und ein Obstgeschäft. Sowie eine Konditorei mit sehr gutem Eis! In Marina di Ascea gibt es zahlreiche Restaurants und Pizzerias. Näheres wird ihnen Angelo von der Agentur Cilento Arcadia gerne erzählen. Selten noch sind wir von jemanden so gut betreut, wie von Angelo. Dieser man hat das Herz am richtigen Fleck. Wir kamen als Kunden und gingen als Freunde! Die Wohnung selbst entspricht der Beschreibung. Parken im Hof ist für normal große Autos kein Problem. 1. Ist der Garten zwar schön grün. Dies erreicht aber nur durch gutes Bewässern. Was wiederum Stechmücken anlockt. Bitte nehmen sie sich Schutzspray mit! Stimmt nicht. Wir waren schon in anderen Häusern in Süditalien, auch Sizilien, und Wifi funktionierte dort hervorragend. Liegt wohl am Provider! Alles in Allen hatten wir jedoch einen wunderschönen Urlaub. Nicht zuletzt deshalb, weil Angelo von Cilento Arcadia bei Problemen immer die Lösung hatte! Lieber Franz und lieber Brigitta willkommen in Cilento Arcadia Freunde. Es war so einfach unser Cilento zu erkunden und positive Erfahrungen mit so sympatischen Gaesten zu teilen. Ich hoffe wir sehen uns bald wieder. Das Apartment ist die untere ebenerdige Wohnung in einem Haus. Die Qualität entspricht der Beschreibung in der Anzeige. Es liegt direkt am Lungomare. Den Sandstrand erreicht man, indem man über das Hintertürchen den Garten verlässt und über die wenig befahrene Straße geht. Der Garten ist sehr grün. Deshalb wird er gut bewässert. Dies lockt die Stechmücken an. Bitte nehmen sie sich einen Mückenspray mit! Parken im versperrten Hof für ein normal großes Auto möglich. In der Nähe finden sie mehrere kleine Supermärkte, einen Bäcker, ein Gemüsegeschäft und eine Konditorei mit hervorragendem Eis! Ein mittelgroßer Supermarkt Conad ist am Ortsrand von Marina di Ascea. Gute Restaurants aller Preisklassen finden sie im und um den Ort. Das einzige wirkliche Problem hatten wir mit dem Wifi. Es funktionierte sehr schlecht bis gar nicht! Die Hausbesitzer meinen, dass ist eben so in Süditalien. Wir wissen von anderen Urlauben in Häusern in Süditalien, dass das so nicht stimmt. Es liegt wohl am Provider! Kleinere Problemchen löste Angelo von der Agentur Cilento Arcadia mit viel Herz und Engagement. Angelo hat das Herz am rechten Fleck! wir kamen als Kunden und gingen als Freunde! Angelo, mille grazie! Alles in allem hatten wir einen schönen Aufenthalt. Villa Tortora è il luogo ideale per trascorrere delle vacanze rilassanti. E'immersa nel verde, così gli ospiti possono disporre di un accogliente parco, che consente di combattere la calura diurna e notturna. E' riparata dal traffico e consente di trascorrere vacanze tranquille e discrete. I padroni sono estremamente accoglienti e disponibili, non sono assolutamente invadenti. La spiaggia è appena oltre la strada, è pulita e l'acqua è trasparente. Il litorale offre parecchi spunti di ristoro serale. Consigliati sono "Lo sciabecco", sul lungomare, e "Rose and crown", per un ottima pizza con cornicione. Una menzione particolare merita Angelo, il simpatico e disponibile mediatore dell'Agenzia "Cilento Arcadia". Marina di Ascea is in one of the most appealing holiday resorts in the Cilento National Park (Unesco world heritage site). Totally immersed in a typical Mediterranean atmosphere you'll find lovely sandy beaches and clean water (European Blue Flag for the cleanest sea in 2002). Marina di Ascea is a small town with seaside promenade, cafes, shopping, amphitheatre and ancient ruins (Velia). Die Preise (für 4 Personen) beinhalten Strom, Wasser, Gas und Bettwäsche. Zusatzbett 50,- Euro pro Woche/ Person. Heizung nach Verbrauch. Kaution 150 Euro. Die Reservierung erfolgt durch schriftliche Bestätigung (E-Mail, Post) durch Cilento Arcadia. Bei Erhalt der Reservierungsbestätigung ist eine Anzahlung von 30% des Gesamtpreises fällig. La prenotazione è perfezionata solo nel momento in cui Cilento Arcadia spedirà conferma scritta (via posta o e-mail). Alla ricezione della conferma scritta di disponibilità dell’alloggio, e nei termini ivi indicati, il cliente dovrà versare un importo pari al 30% del prezzo dell’intero soggiorno prenotato. The booking is to be considered effective only after Cilento Arcadia has sent its written confirmation (by air mail or e-mail). On receiving the written confirmation of availability of the house within the indicated terms, the client is required to pay 30% of the total price, that we can charge on a deposit.